Now with their 3rd DP, Alexandru Mitrita has arrived on a permanent transfer away from Universitatea Craiova in the Romanian Liga I all that remains is the paperwork. 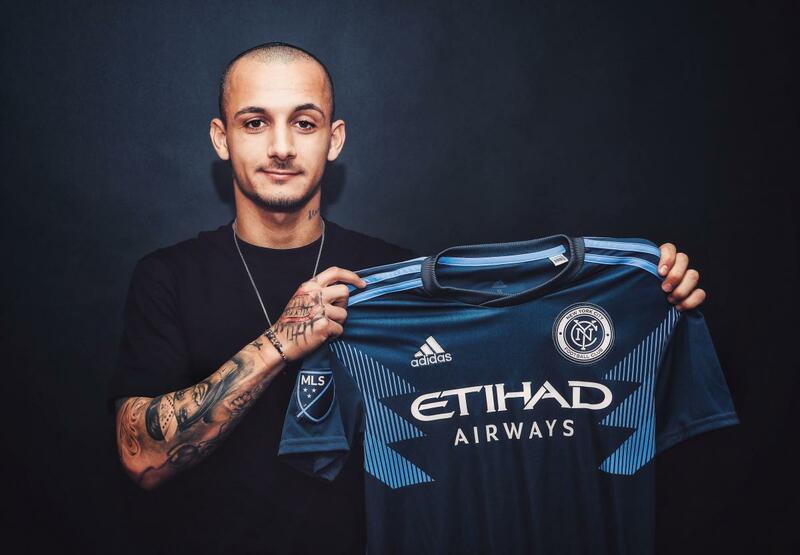 He is one of the more versitile players, adept at attacking mid, wing or forward, this multi year contract has him already in Abu Dhabi and the rest of NYCFC for preseason. Mitrita informed, " I'm very happy to be a part of this team. I know this is a good group. The team has a very good coach . MLS is a very strong league, otherwise I would not have come here." He first dressed for Viitorul Constanta in the 2012/'13 season, getting 50 plus games. His time in the Romanian league caught the eye of Serie B Italy side Pescara and he helped them to promotion in 2016 during his first of 2 years there, again with over 50 games he had a pair of goals to show for it. 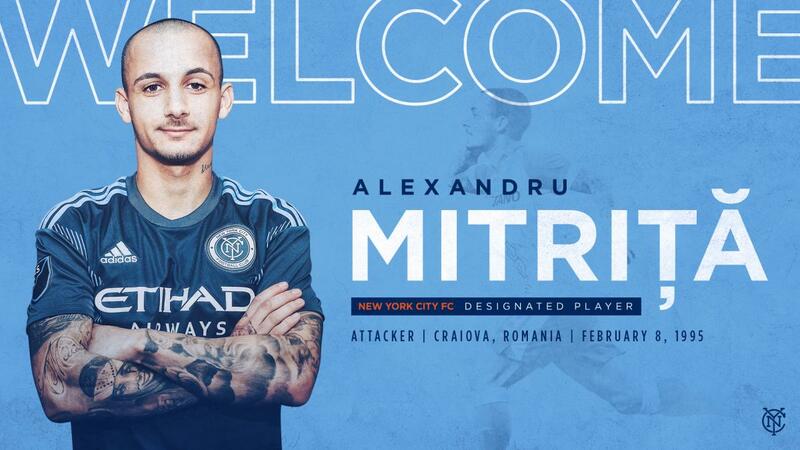 NYCFC Sporting DIrector Claudio Reyna had this to say of his new player, "Alexandru is a very talented attacking threat. At almost 24, he's part of an exciting younger generation. He's extremely motivated to make the next step after recently breaking into the national team. Our fans will really enjoy watching him play for NYCFC." The '17-'18 season was great as he racked up 16 goals and 4 assists over just 38 game overall. This led to his being invited to the Romanian National Team and their going undefeated over his first 6 caps beginning Mar. '18. Head coach Torrent informed, "We're very happy to have signed Alexandru. He's scored lots of goals and has been very dangerous. I know he'll be able to come to New York and be a key leader in our attacking front." The first half of the '18-'19 season had him as captain of Craiova and in 16 games getting 12 goals with 4 assists. He joins other newcomers this offseason Rocha, Parks, Ofori, Haak, Torres & Barraza.